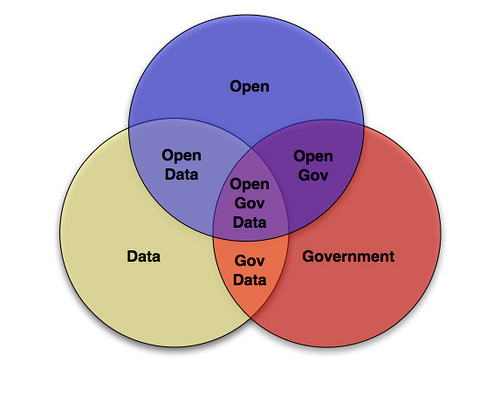 Open access is employed differently across different disciplines. 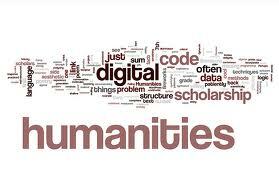 Find information here about OA in the Humanities, Social Sciences and Sciences. The Directory of Open Access Journals allows you to search for all included journals and then narrow by subject. Real-time, crowdsourced publication that takes the pulse of the digital humanities community and tries to discern what articles, blog posts, projects, tools, collections, and announcements are worthy of greater attention. ODH is an office within the National Endowment for the Humanities (NEH). It's primary mission is to help coordinate the NEH's efforts in the area of digital scholarship. The DPLA is large-scale digital public library in a single platform and portal, providing open and coherent access to our society’s digitized cultural heritage. 3,000 links to selected arts & humanities ejournals. Journals listed are either free (open access), or offer significant free content. OAPEN is a collaborative initiative to develop and implement across Europe a sustainable Open Access publication model for academic books in the Humanities and Social Sciences. Online Images from Boston College include images of American and European Architecture, 18th-20th Century painting, 19th and 20th Century Sculpture, and more. A free-use image resource for the educational community arranged by art historical period and keyed to major art historical textbooks, i.e. Janson, Gardner, Hartt. This box contains links to social science repositories and interdisciplinary repositories with substantial social science material. It is by no means exhaustive and is intended to provide a sense of the range of types of resources available. The Social Science Open Access Repository contains both pre- and post-print articles from a wide range of the social sciences. It is certified by the German Initiative for Networked Information (DINI). It has both English and foreign language publications. The Social Science Research Network has material from across a broad range of the social sciences and is one of the largest OA repositories in the world. Coverage is also international in scope. The Sciences have often led the way in the Open Access movement. This list is by no means exhaustive and is intended to provide a sense of the range of types of resources available. Open access to nearly 800,000 e-prints in Physics, Mathematics, Computer Science, Quantitative Biology, Quantitative Finance and Statistics. ArXiv.org is widely-recognized for having transformed communication patterns in the disciplines it serves, particularly Physics. A pioneer in open access, BioMed Central, now owned by Springer Verlag, publishes over 60 open access journals as well as additional "toll-access" journals. Project Euclid is the Open Archives Initiative database of Cornell University in partnership with SPARC to offer about twenty low-cost independent and society journals in theoretical and applied mathematics and statistics. More journals are joining every year. Boston College does not subscribe to all titles. With a core principle of "giving any scientist, physician, patient, or student - anywhere in the world - unlimited access to the latest scientific research", the non-profit PLoS was one of the first, and remains one of the truly significant open access publishing houses in the sciences. Its journals are notable for their high quality and high profile, with new research reports frequently highlighted in major general news outlets. A freely-available, full-text archive of biomedical and life sciences journal literature at the U.S. National Institutes of Health's National Library of Medicine (NIH/NLM). NIH grant recipients are required to deposit their final, peer-reviewed manuscripts in the PubMedCentral archive upon acceptance for publication, with this content to be made publicly accessible within 12 months of publication. Commonly called the Astrophysics Data System, this is a digital portal for researchers in Astronomy and Physics, operated by the Smithsonian Astrophysical Observatory (SAO) under a NASA grant. All abstracts and articles in the ADS are copyrighted by the publisher, and their use is free for personal use only. It is comprised of three bibliographic databases containing more than 9.1 million records: Astronomy and Astrophysics, Physics, and arXiv e-prints. SCOAP3, a consortium made up of High-Energy Physics (HEP) funding agencies, HEP laboratories, and leading national and international libraries and library consortia, is working with publishers to develop a new business model supporting conversion of five traditionally-published core HEP journals into Open Access titles. Open access journals are relatively rare in chemistry, but BJOC is an excellent example of one, publishing peer-reviewed, quality articles in organic chemistry. Authors publish free of charge since the journal is completely funded by the Beilstein-Institute. 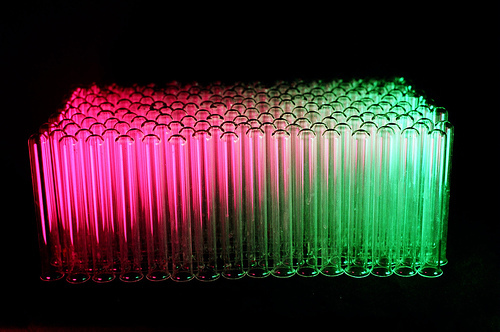 Long after publication of its first volume in 1974 and establishing itself as a top-tier journal in biochemistry/molecular biology, Nucleic Acids Research began its Open Access initiative in 2005. Content from 1996 on is freely available on the Oxford University Press website; earlier content can be found in PubMed Central.